M.O.S.T.S. supports a high quality University/school and community sponsored literacy tutoring program that serves a diverse population. 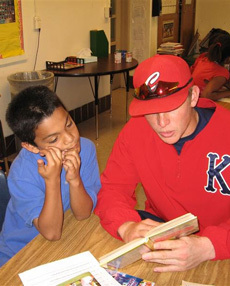 Tutors are trained on research-based approaches to literacy instruction. M.O.S.T.S. operates at Project Directions, City Life Center, Kankakee Community Resource Center, and Garden of Prayer, all located in Kankakee County.